All of the proceeds from this off-road pony car will go to the Juvenile Diabetes Research Foundation. The first generation Ford Mustang is a good classic car for looking good, sounding good, and going fast on a budget. One proficiency we don’t normally associate with the Mustang is off-roading. However, this 1967 “Rowdy” Ford Mustang on eBay right now was customized to take on both the streets and the trails and look good doing it. 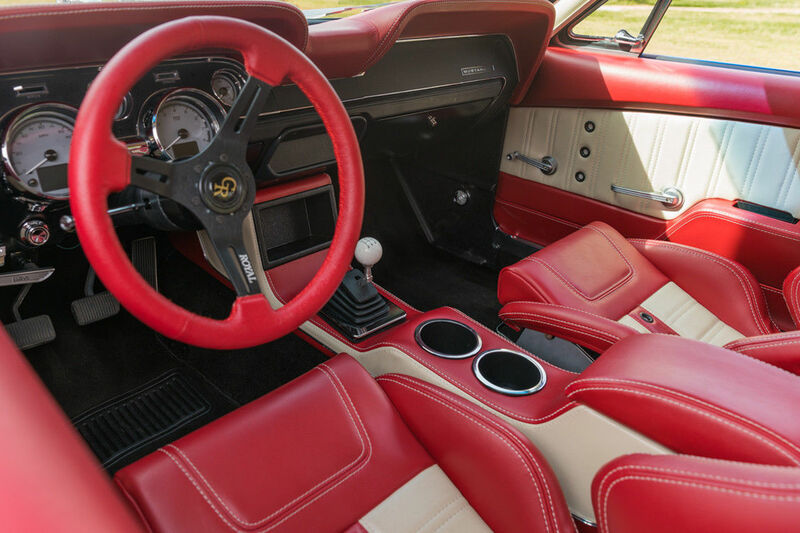 What was originally a ‘67 Mustang Fastback in excellent condition with just 150 miles on it according to the eBay listing was transformed by Rutledge Wood, K.C. Mathieu, and Mike Finnegan. “The result is a street legal, rally-inspired combination of iconic American styling, raw power, and enhanced off-road capabilities,” says the listing. This restomod is powered by a Ford Performance 427 ci crate engine making 535 horsepower with a Tremec five-speed manual transmission sending power to a nine-inch rear end with 4:11 gears. Performance upgrades include an Inglese EX-EFI 2.0 induction system with FAST Precision Flow injectors, Borla polished aluminum six-inch injector stacks, MagnaFlow cat-back exhaust, and Wilwood six-piston disc brakes with drilled and slotted rotors. The Rowdy Mustang sits on Ride Tech StreetGrip suspension and American Racing custom 18”8” VN526 wheels with General Grabber AT2 tires size 255/60R18. So it’s not exactly for rock climbing at Moab, but it should have some credible off-road chops, especially compared to most first-gen Mustangs. The body of this Mustang has just enough of a customized touch while retaining the classic look and shape of a ‘67 Mustang. It has a “Red, White, and Rowdy” paint job with a custom rear spoiler, front lip, and rally lights. A cutout in the hood shows off the shiny Borla injector stacks and is sure to give the car more volume in its all-American growl. 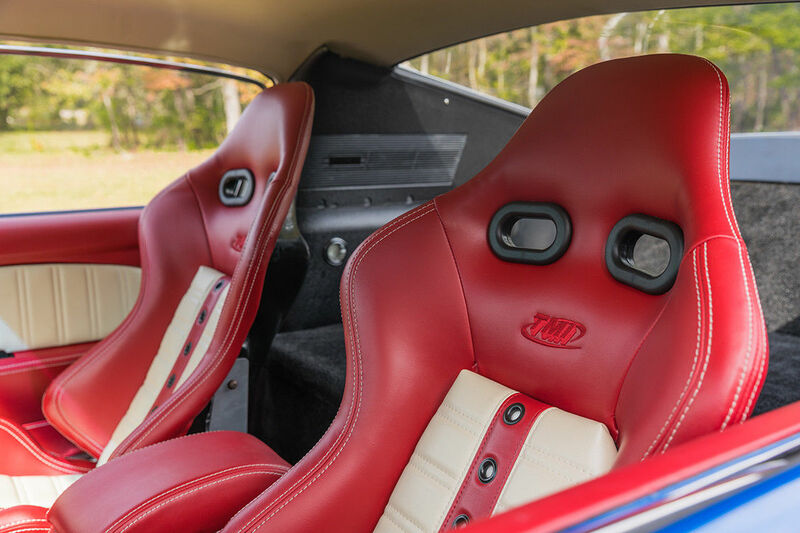 The car has a handmade, fully custom interior from TMI Products. This one-of-a-kind, street legal, off-road ready restomod can be yours if you make it on the list of pre-approved buyers. To get on this list, you need to email the seller and be deemed worthy to bid on the car. As of this writing, the Rowdy Mustang has 33 bids with the current bid at $50,100. That’s sure to go through the roof as there are still six days left in the auction. The original price of the project car was $22,259.09 and the estimated value of the parts in the build is $142,000. If this Mustang were yours, would you dare to take it off-road or would you preserve it in your garage? eBay's restoration project hits the streets of Detroit as part of the car's road trip across the States. Ready for Dakar. Ready for the apocalypse. Ready for your bid.